At The Dry Eye Clinic, we have been providing care and guidance for suffers of dry eye ranging from mild to severe since 2015 with our Gold Standard Dry Eyes Clinic treatment pathway – including The Lipiflow System. We are often asked when and where do other treatments and relief’s that are available fit in to our care pathway. 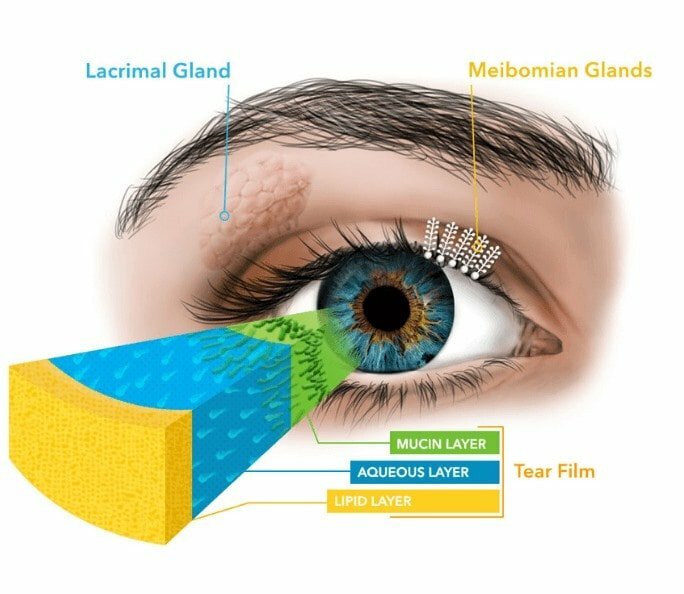 As a sufferer of MGD or Blepharitis you will know that that the most common cause is the blocked Meibomian Glands in the eye which stops the lipid tear film protecting the evaporation of the tears and results in itchy and gritty eyes. In fact, according to research it is estimated over 86% of the 100 million suffers worldwide have some form of MGD which stems from a deficiency in the oily lipid layer of the tear film. 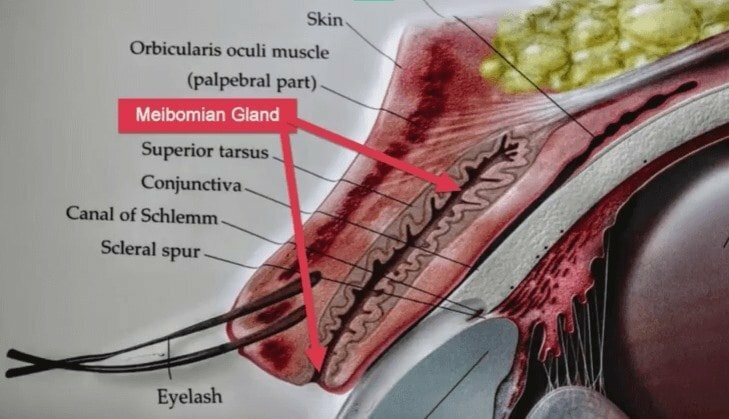 There are short term treatments that mask the cause and give symptomatic relief for mild dry suffers, these are commonly eye drops, however in order to treat the causes at the source we must find a way to unblock the glands and this is where heat and manipulation comes in. Heat effectively melts and dissolves the blockages allowing the lipid to flow again. 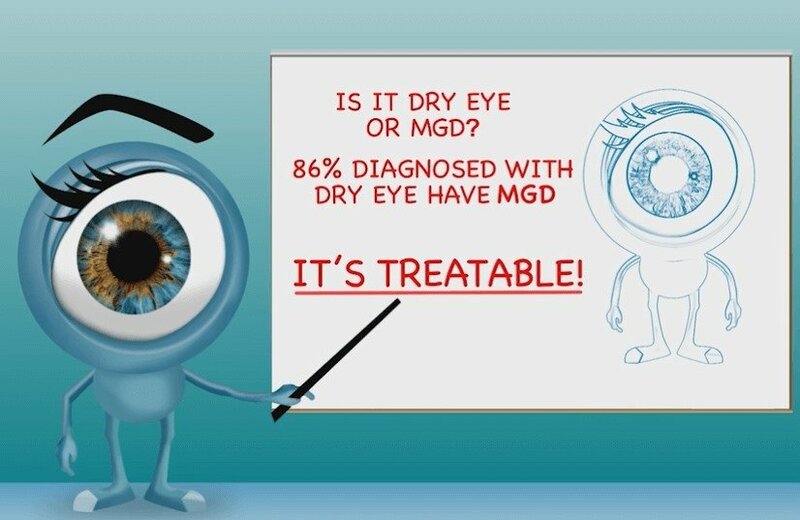 People with MGD will often keep on getting these blockages so it important that they are monitored, advised and retreated as the disease develops. In mild cases Heated Eye Pad may help delay the progress of the disease prior to intervention with LipiFlow. In more severe cases intervention with LipiFlow may be advised but there is still a role to be played by Heated Eye Pad in the maintenance of a sufficient lipid level within the eye. So many of the common heat products that are available on the market do not target the specific glands and subsequently fail to bring the relief you crave. Since they are designed as a warm compress, whether they are wet or dry, that covers the eye socket, most of the heat gets lost around the eyes and absorbed into the skin with very little reaching the actual glands. Another common issue is the unregulated heat and quick heat loss that does not allow the compress to last at a sufficient temperature for long enough. (If you are using a wet compress you will know that it is a bit of messy job too setting it up, besides the water trickling down your face.) One faces the same challenges regardless whether they are using a towel for hot compress or using are using microwaveable compress. The Heated Eye Pad. After reaching out to all our contacts we have found the solution to the challenges we were facing with the hot compress and are proud to announce that we are now the sole distributor in Europe of the The Heated Eye Pad Ophthalmic Warmer (developed in the US and is FDA approved and CE marked by the Dry Eyes Clinic) and have incorporated it in to our Complex and Simple Care Pathway. What that means is depending on the severity of your condition (Take our free assessment here to learn more) we have a Care Pathway, in place to work through the stages of your dry eye care. If for example a patient has been diagnosed as suffering from mild dry eye we will recommend using drops, improving their close environment as much as possible, possible dietary changes, eye cleaning and blinking exercises. If symptoms are still persisting we will recommend heat specifically heated eye pad. For moderate dry eyes symptoms, we recommend the Lipiflow treatment plan. Using the Lipiview system we record and review the lipid flow and other precise details of the eye and then treat the blockages with precision using Lipiflow. Lipiflow, however, is not a cure for the condition, but brings long term relief for many improving their eye health for a year or more. In order to maintain this relief and extend the time before the return of symptoms we recommend using the Heated Eye Pad which help keep the lipids flowing. 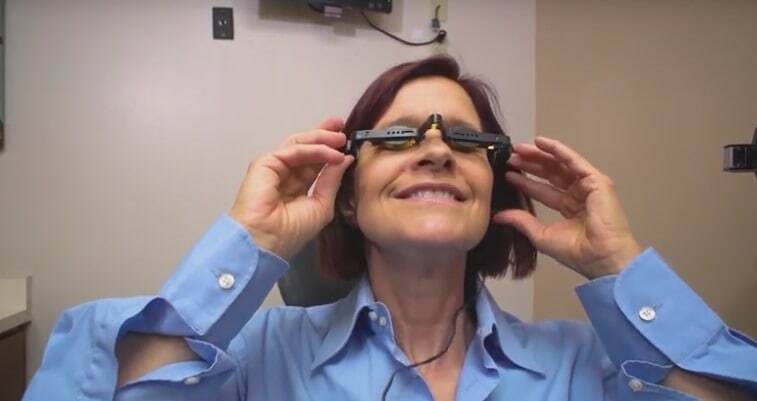 Heated Eye Pad can be used either by clinicians in practice or training by patients at home. 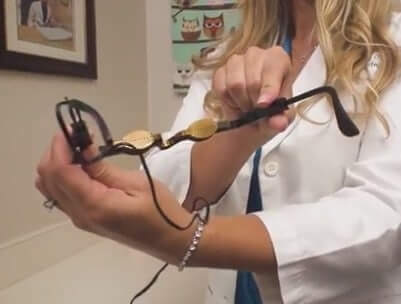 The Heated Eye Pad Ophthalmic Warmer also known as the Heated Eye Mask looks like pair of glasses which designed with a high precision heat element by Digital Heat a leading expert in the field. 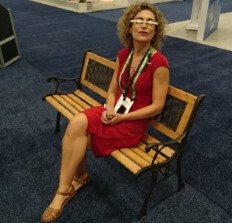 It has been designed to be able to be used by any one on a daily basis. Unlike the traditional warm compress that is always too hot, cold or soggy, our Heated Eye Mask is fashioned in a way so the that the temperature remains constant at the correct heat needed for your Meibomian Glands to expand and dissolve any blockages. It works by connecting with to an electrical outlet or your computer USB port. It has also been designed to very precise as to where the heat is focused, on the Meibomian glands. 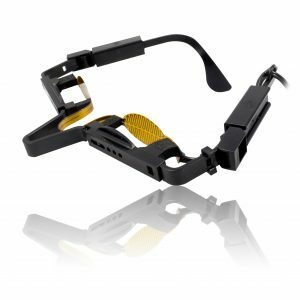 The Heated Eye Pad Ophthalmic Warmer has an Adjustable frame which fits all faces and is as easy as putting on a pair of glasses.